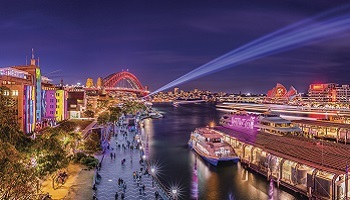 8 Days/5 nights: Don’t miss the spectacular showcase that is Vivid Sydney - a celebration of light, music and ideas from 25 May to 16 June 2018. The city transforms into a night time wonderland through large-scale illuminations, laser lightshows and 3D-mapped projections. The Lighting of the Sydney Opera House sails in the evening is the moment when the spectacular Vivid Sydney light show begins. Follow the series of interactive and immersive light art sculptures and installation trails through the spectacular waterside precincts of the Royal Botanic Garden, Darling Harbour, Taronga Zoo, Luna Park and The Rocks. 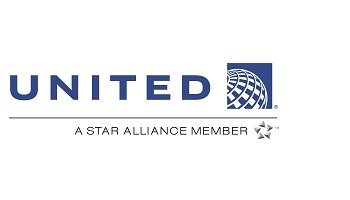 If you have traveling for the first time or looking for a reason to return, this 5-night Vivid package showcases the very best of Sydney including special airfare nonstop from San Francisco and Los Angeles to Sydney with United Airlines, free hotel nights and discounted touring to bring amazing value. Throughout your time in Sydney enjoy a city sights tour, evening harbor cruise and tour & dine at the Sydney Opera House. 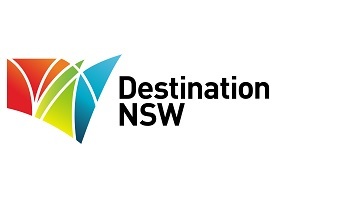 ACCOMMODATION - Stay 5 nights In the heart of central Sydney, opposite Central Railway Station, the Rendezvous Hotel Sydney Central is located minutes from Darling Harbour, Chinatown and the Sydney Convention and Exhibition Centre. The hotel features 116 rooms and suites with modern decor and clean simple lines. Convenient to the transport hub of central Sydney and with secure on-site parking facilities guests can easily explore Sydney's iconic destinations and venues. All rooms feature flat screen LCD televisions, IPOD docking stations, wireless and broadband internet access and reverse cycle air conditioning. ACCOMMODATION - Stay 5 nights in the Heart of Sydney This award-winning 5-star luxury hotel in the heart of Sydney features stylish accommodations, along with 2 restaurants, 2 bars, a day spa, swimming pool, fitness center and business center. Amora Hotel Jamison Sydney is just a 10-minute walk from Circular Quay, Sydney Opera House, Sydney Harbour Bridge and The Rocks. It is a 15-minute walk from Darling Harbour. The city’s best shopping, dining and nightlife are on the hotel’s doorstep. See inside the world's most recognizable 'sails' and experience this miracle of architecture and engineering. A work of art that came into existence against impossible odds to become one of the busiest performing arts centers in the world. Working with new, rich audio-visual components, where images are projected onto the fabric of the building, your guide will take you on an emotional journey, engrossing you in a story to rival any opera plot with its dramatic twists and turns. Some 1,500 performances, from opera to circus, rock and cabaret, are staged each year to audiences of around 1.5 million. After your tour, please proceed to the Opera Bar and enjoy a three-choice menu. Sit back and be spoilt for choice as you relish some of Sydney's best cuisine and soak in the Sydney Harbour views. The perfect way to experience one of the world's most stunning icons. 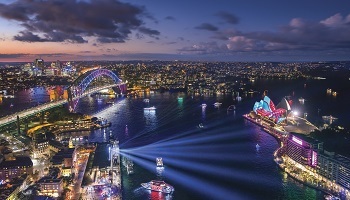 At 6:30pm be a part of Vivid Sydney on a private 52-foot Motor Cruiser, with maximum 16 passengers on board. 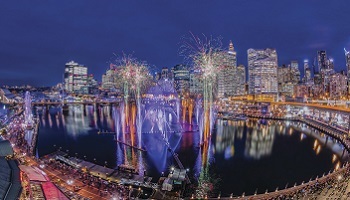 Enjoy light canapes and unlimited beverages as you cruise the magnificent Sydney Harbour marveling at the shoreside projections along the foreshore from Fort Denison, Circular Quay, The Rocks, Walsh Bay and Darling Harbour from the water. Cruise duration is approximately 2 hours. . Consider enhancing your Sydney experience by adding a full day tour to the World Heritage Listed Blue Mountains. This boutique tour provides an intimate touch, travelling in the luxury of a Mercedes Benz minivan. Explore the Blue Mountains and see hidden locations and beautiful views of the region. From Echo Point, the closest and best view of the Three Sisters, you will be able to witness the blue haze and the vast expanse of the Jamison Valley and experience for yourself the raw magic the Blue Mountains creates. Take a 1.5-hour hike down the Furber Steps walking track which offers scenic views and waterfalls, to the bottom of the valley. Visit a beautiful waterfall with great photo opportunities at Katoomba Falls Cascade and see breathtaking views of either Jamison Valley or Megalong Valley away from the crowds in a private location. Enjoy a hot filling lunch including a glass of beer, wine or soft drink. After lunch visit Featherdale Wildlife Park to see some of Australia's native wildlife. Your trip to Sydney is not complete without a cruise on the Parramatta River to Sydney Harbour. You will travel under the Sydney Harbour Bridge and pass the Sydney Opera House before disembarking at Circular Quay, where your tour will conclude at approximately 4.30 -5.00pm.